Is 'Romeo and Juliet' really a love story, or is it a play about young people living in dangerous circumstances? How might life under occupation produce a new reading of 'Julius Caesar'? What choices must a group of Palestinian students make, when putting on a play which has Jewish protagonists? And why might a young Palestinian student refuse to read? For five months at the start of 2013, Tom Sperlinger taught English literature at the Abu Dis campus of Al-Quds University in the Occupied West Bank. In this account of the semester, Sperlinger explores his students' encounters with works from 'Hamlet' and 'The Yellow Wallpaper' to Kafka and Malcolm X. 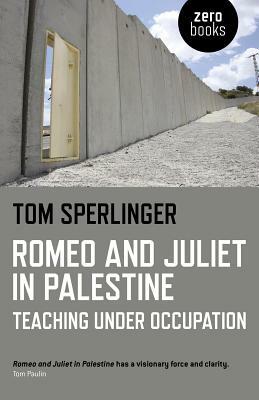 By placing stories from the classroom alongside anecdotes about life in the West Bank, Sperlinger shows how his own ideas about literature and teaching changed during his time in Palestine, and asks what such encounters might reveal about the nature of pedagogy and the role of a university under occupation. Tom Sperlinger is Reader in English Literature and Community Engagement at the University of Bristol. Romeo and Juliet in Palestine is his first book.